Internet explorer 10 which is the default browser for Windows 8 and available as free update for Windows 7 is doing great for Microsoft. 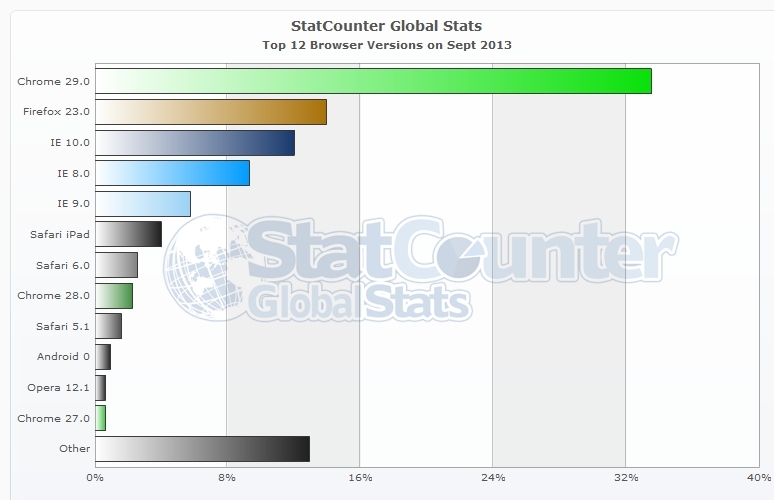 IE 8 was the most popular version till August but now in mid September,statscounter shows that IE 10 has gone past the old IE 8. Internet explorer 10 is really a modern and fast web browser which is available for Windows 8 and Windows 7 users. It is nice to see Internet explorer 8 go down because it is a old and out of standard web browser. It also indicates that the users are dumping Windows XP and Windows vista in favour of Window 7 and Windows 8.